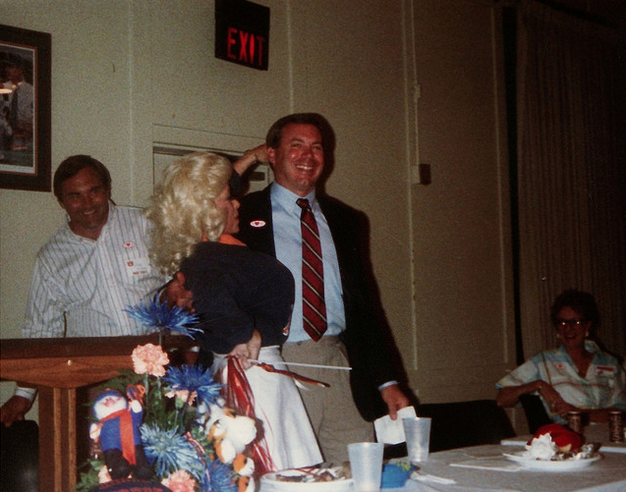 Pat Sullivan. 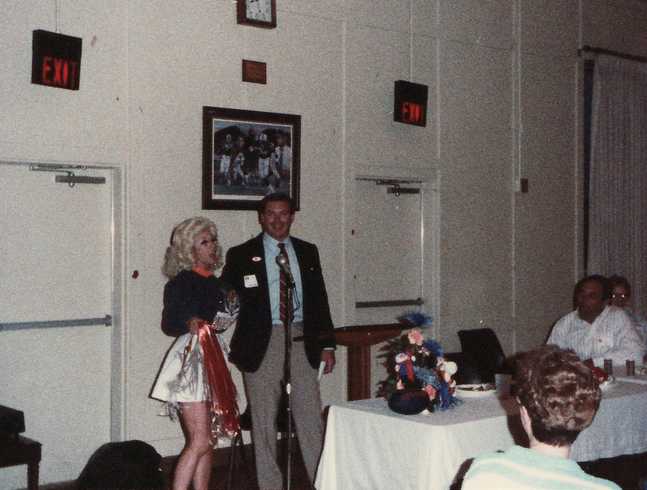 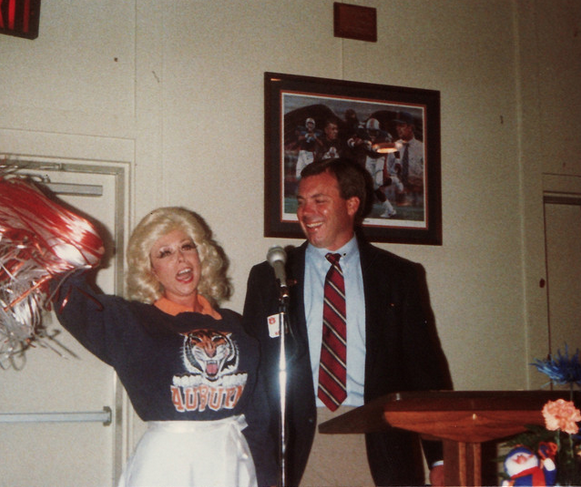 Morganna the Kissing Bandit, or at least a Morganna the Kissing Bandit impersonator and her over-sized shakers… what a fun, perfectly mid-80s night it must have been for members of the Northwest Georgia Auburn Club. 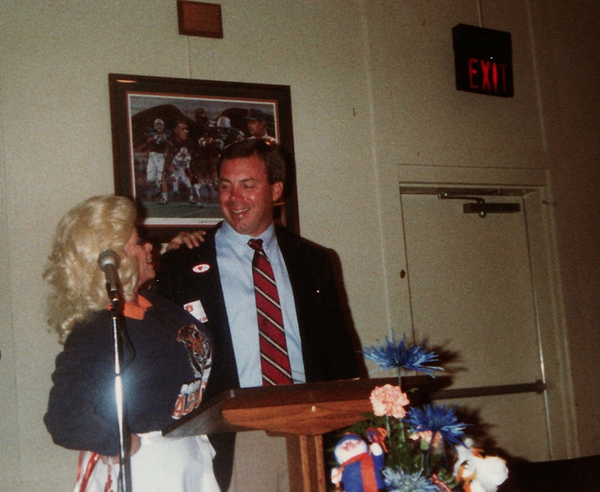 h/t @AU_History / photos via the Auburn Alumni Association. 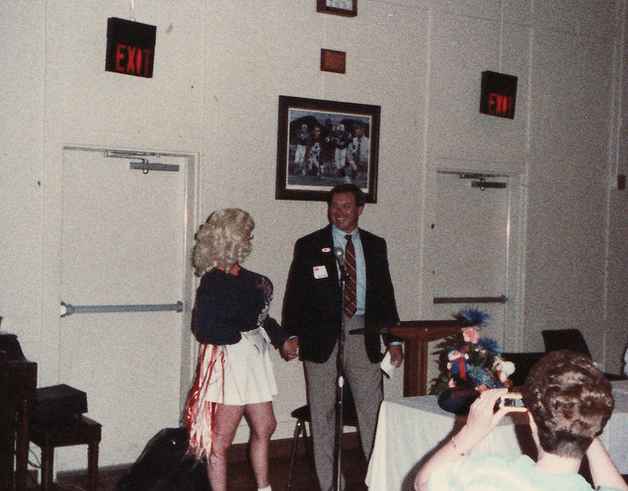 * Was an Auburn fan photoboming other teams’ broadcasts in the 1970s?